In one of our most famous games, you can have fun connecting these moody jellies in this variation on a classic match 3! You can make links between jellies of the same color that are right next to each other (left, right, up, down, and diagonally). 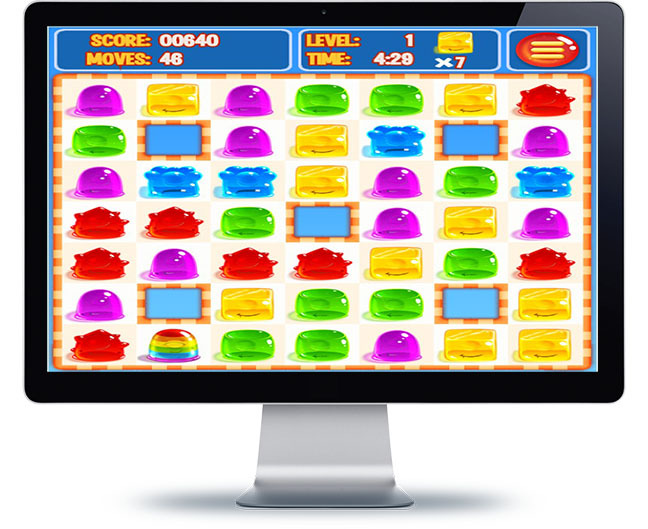 You have 50 moves to remove the jellies by connecting them with the ones with the same colors. Don’t forget to make the connections as long as possible because the more jellies you connect, the easier will be to finish on time and within the move limit. Also, if you make long lines, you will get special bonuses to increase your score even more!